… See I told you that it was stunning. I read this collection for the first time back in 2010 and, as you can see from my review here – which is old so don’t judge it too harshly, I absolutely loved it. Not only does it have the title story, which Hitchcock then immortalised in the movie, but it also spooky tales like ‘The Apple Tree’, ‘Monte Verita’ and ‘Kiss Me Again, Stranger’. So perfect for this time of year. I don’t think I have put a book review as a post on Christmas Day before, I am sure you are all having too much of a lovely time with your family, or just filled with chocolates and the like, to be reading the blog. I hope I will be. 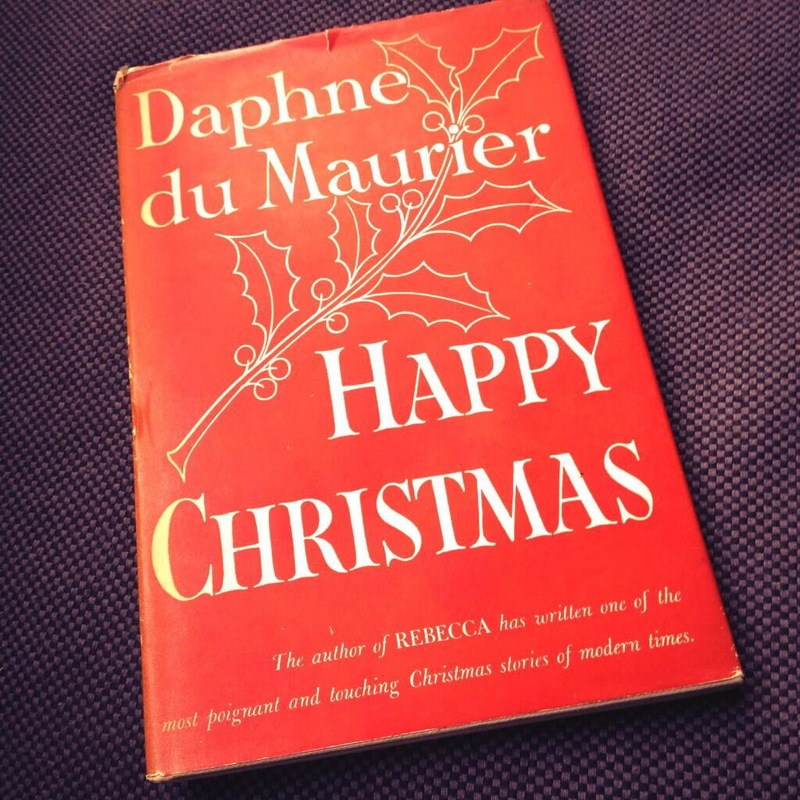 However there didn’t seem a more ideal day to discuss Happy Christmas by Daphne Du Maurier, a rather rare short story/novella that couldn’t be more ideal for today and so I have done some scheduling, not sledging, scheduling. The Lawrence house is busy and bustling trying to get itself organised, well the staff are, in time for Christmas and a day of festivities and feasting between the Lawrence family and their neighbours. Busy Mr Lawrence is watching all from the side lines while his wife fusses over what needs to be done (by the staff) and their children Bob and Marjorie (their names being one of the few things that dates this tale) squeal about what they want for Christmas. We all know the score. However after a phone call the mood changed when the local refugee charity, who Mrs Lawrence signed up to because she felt she should as everyone else was, call telling them that they have a Jewish couple in need of shelter. Worrying that this will inconvenience and possibly ruin Christmas they decide that they have no room other than above the garage building and so begrudgingly agree. I won’t say more on the plot as the tale is only a very short 24 pages. I can talk about my reaction to it though. Initially I have to say I had a horrid feeling that this was a rather racist tale, especially after how put out the Lawrence’s are about the Jews coming to stay and a few rather antisemetic comments fly from her and her husbands mouths. However, that was a lazy initial reaction and one I was annoyed at myself for even thinking Daphne would deign to write. As I read on I realised that in a modern mirroring of the religious tale of Christmas, rather than the big jolly fat man with a beard, Du Maurier is actually pointing out that deep down many of us have forgotten just what on earth Christmas is actually about. This isn’t a case of religious preaching or bashing the reader over the head and as someone who isn’t religious I think I would have spotted it if it was. It is just a tale that says Christmas isn’t all about having the latest most marvellous gifts, showing off to relations and neighbours (or indeed trying to outdo them), it is a time to think how lucky we are and remember it is a time of charity and giving, the latter not having to be on such a grand scale. As someone who had up until this point been mildly grumpy that I wouldn’t be getting an iPhone 5S for Christmas it gave me a short sharp slap round the face and I know that whatever happens on Christmas Day I will just be feeling thankful I am with people who love me and who I love… even if they probably want to play bloody charades! Considering Happy Christmas is now sixty years old it is a short story that most of us in this modern world could do with reading to be given a reminder to look sharp, buck up and think on as to what Christmas is really all about. It is only short but it packs one very big punch. Well done, Daphne. Oh and if you want an extra little magical tale, you can find out the way I ended up getting this copy of Happy Christmas here. Bookish fate. I hope you are all having a wonderful day. Many apologies if the jubilations yesterday evening woke you up, or disturbed you, wherever you may be. I think most of the people in the local vicinity of where I reside will no doubt already be aware that I got picked to give out Daphne Du Maurier’s ‘Rebecca’, my favourite book of all time so far, for World Book Night on the 23rd of April. To say I was beyond thrilled would be something of an understatement. I really enjoyed the experience last year when I gave away many a copy of Chimamanda Ngozi Adichie’s ‘Half of a Yellow Sun’, one of my favourite contemporary novels, at Christies Hospital (which specialises in cancer) last year. Without dumbing down that experience I have to say I even more excited that I can now share my very favourite read with 25 unsuspecting people, and know that they will have several hundred pages of utter reading delight ahead of them. The only questions now are where to give them out and how? As ‘Rebecca’ is such a special read to me, as you may know, I really want to do something rather different. My initial idea was to dress as Mrs Danvers, but I decided that might actually freak people out (and while I have lost a good three stone in the last few months, Polly of Novel Insights didn’t recognise me initially when we last met up, I don’t think I have the austere willowy figure Danvers requires) and that might have them running away without the book rather than running off to read it. Second thought was to give the book out at a suitably Manderley old house, yet I am not sure a stately home’s clientele are going to be hard up for money to buy a copy of it, and I do want to spread the Daphers and bookish love to those who might not have the opportunity to have read it for whatever reason. Hmmm, there’s something to puzzle over a while. I do have a good few weeks though. For now I will just revel in the warm happiness of knowing I am giving the book away, and keep brainstorming. If you have any ideas for a way of me appropriately giving ‘Rebecca’ away then do let me know. Have any of you been chosen, and if so what are you planning to do? Any stories, or ideas, if you gave books away last year are also welcome. There are some books which you finish and feel a mixture of utter joy that you read something so wonderful, swiftly followed by that lurch in your chest when you realise that these books come few and far between and that you won’t have this exact experience ever again, even if you were to re-read the book from the start… something which you invariably want to do in these situations. This was the exact set of feelings that I had after I had read the very last line, and oh what a closer it was too (no spoilers coming though I promise), of ‘My Cousin Rachel’ by Daphne Du Maurier. Philip Ashley is the narrator of ‘My Cousin Rachel’ he is a rather naïve young man who has grown up under the care of his elder cousin Ambrose, who owns a large estate, and has become like a mixture of father, brother and best friend. He is also being lined up as Ambrose’s heir and replacement as manager of the estate which often means when Ambrose has to go away to avoid the winters Philip is left in charge. On one such trip to Italy Ambrose writes to Philip that he has met ‘our cousin Rachel’ a woman who slowly looms larger in letters before Ambrose announces they have married, only soon after Ambrose suddenly dies after sending Philip some much more ominous correspondence and soon Rachel herself descends upon Philip’s life. The story so far does sound a relatively simple one; however I have only really given you the gist of the very first parts of the book. As it goes on, and what sets it apart, the psychological intensity Du Maurier weaves through the pages along with the constant sense that she could pull the rug from under you at any given moment is incredible. Before Rachel even appears herself, around 80 pages in, she is quite the presence and the reader has quite possibly made up their mind about her through Philip’s utter jealously and then suspicion of this woman. Daphne then brings in a character quite unlike the one we would imagine. It is this game of Rachel being a misunderstood sweet if tragic innocent or magnificently manipulative calculating monster that makes you turn the page, are you right about her or utterly wrong? As with all of Daphne’s novels this is also a book about the human psyche generally, again this is often the case, the much darker sides of it. Jealousy is at the heart of this novel (I occasionally wondered about the nature of obsession too in terms of Philip and his attachment to Ambrose, or was there something other that dared not speak its name? ), Philip makes all his initial opinions on Rachel on nothing more than that one pure emotion, after Ambrose’s death comes grief and anger and here too Rachel becomes the focal point for this. We also have to ask ourselves if Philip is an incredibly perceptive young man despite his almost closeted childhood, or is he possibly just as unreliable and possibly as innocently beguiling as Rachel herself? Something on every page makes you question yourself, it is quite incredible. The atmosphere of the book is also utterly brilliant. In fact ‘My Cousin Rachel’ rather reminded me of the sensation stories of the late 1800’s, which I think is when this novel is meant to be set though we never officially know the time period. 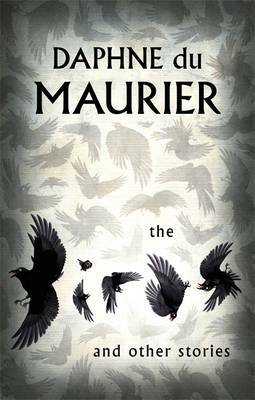 From the very opening sentence ‘They used to hang men at Four Turnings in the old days.’ we know we are in for a dark and brooding tale, and Du Maurier certainly doesn’t disappoint. Many people claim this is like a sister novel to Du Maurier’s most famous work ‘Rebecca’ and I think to say that does do ‘My Cousin Rachel’ an injustice. Yes there is the gothic feel and uneasy atmosphere of both novels, they both feature large estates, we also have a mystery at the heart of each tale and a woman who takes over every page even though she may not be in the book that often. I grant the fact they do both also look at dark human traits but in very, very different ways and though ‘Rebecca’ will always be my favourite Du Maurier novel I am not sure that ‘My Cousin Rachel’ could be beaten for it’s sense of never knowing the truth, in fact I would say Daphne leaves much more to the reader in this novel than she did in ‘Rebecca’ and I loved that. I had always been told to leave ‘My Cousin Rachel’ as one of the last of Daphne Du Maurier’s novels because it was one of the best. I would heartily recommend people read this as their first Du Maurier novel because once you have read it I can almost guarantee you will want to go off and discover more of her works, I really envy you joy you have ahead of you if you haven’t read this novel before. This will easily be a contender for my book of the year almost exactly fifty years after it was originally published. I should actually thank Ruth (and I think Jeanette) for making me read ‘My Cousin Rachel’ much sooner than I had ever intended, this was going to be one of those ‘save it for a rainy day’ reads that would languish on my TBR forever. I had also not anticipated reading Daphne so soon after ‘Discovering Daphne’ with Polly. I am thrilled I read it and it’s another reminder that I need to stop putting off the books I really want to read and just get on and read them as I mentioned a week ago. So to end this years ‘Discovering Daphne’ season I begged and begged Polly to let us finish with ‘Rebecca’ as it is my favourite read of Daphne’s and indeed, I think, of all time so far. It was a toss up between this and Polly’s favourite ‘Jamaica Inn’ and Polly, being the lovely person she is, caved in. The thing was though, once I knew a ‘’Rebecca re-read’ was lined up I started to get really nervous. What happened if the book I loved suddenly felt flawed, what if I didn’t like the unnamed narrator this time or feel any empathy for her, what if Mrs Danvers left me cold, what if I didn’t find it as atmospheric and haunting? I started to get a little panicked. After closing the final page of ‘Rebecca’ a few days ago it was a struggle not to head straight back to the start… yet again. If I could physically get lost in a book then ‘Rebecca’, and of course Manderley, would be the place I would be happy to be stuck in forever. From the very moment of those first immortal lines “Last night I dreamt I went to Manderley again” to the final pages and THAT ending (no spoilers here don’t worry) I was hooked line and sinker and in for the long haul, and how it has made these long dark nights all the more bearable, and all the more haunting. 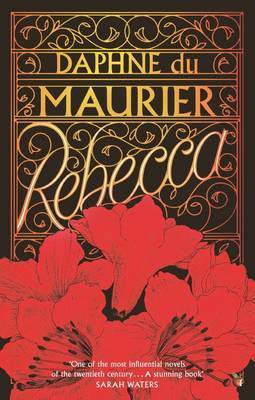 For those of you who don’t know the book, or its rather infamous plot, ‘Rebecca’ is a tale of ‘the other woman’ only in this case the other woman is dead – amazing, and clever, that she is one of the most formidable characters in the book and the lives of all those living who we join. The unnamed narrator tells her tale of how, when accompanying a rich American lady Mrs Van Hopper (who is a fabulous small character) on holiday, she meets Maxim de Winter and after a whirl wind romance marries him and finds herself back in England and the new lady of Manderlay, a wonderful gothic mansion. Yet once back in Maxim’s home his past, and indeed his previous wife Rebecca (and her mysterious death) come to haunt them, quite literally, along with a little help from the housekeeper Mrs Danvers. Here I shall leave the story, for if you haven’t read it yet I don’t want to give anything further away, especially as this is a book which has some wonderful, and equally dreadful, twists and turns as it develops. I can say that on a re-read the unnamed narrator (who I once insisted was called Caroline after one re-reading) did annoy me a lot more than she usually does initially, not to the point where it affected the book, but I did think ‘oh get a grip love’ but then because of the psychological aspect of the book and indeed her situation as usual I did once more start to feel for her and could understand how some one like Mrs Danvers could so easily manipulate and scare a woman like her, she scares me. One of my very favourite things about ‘Rebecca’ is undoubtedly Mrs Danvers, she’s psychotically obsessed with her former mistress and clearly has a dark background which we only get the vaguest notions of. She’s just wonderfully wicked and deliciously, dangerously demented. I have always thought because of her complexity and nature she is one of my favourite characters in fiction, unnervingly stealing the limelight on any page she appears. I have often pondered that I would love to write a fictional account of her life, I could never do it justice though I am sure. Back to ‘Rebecca’ and along with its wonderful twists and turns, its atmosphere (which is incredible, you feel like you are there with these characters in this gothic, dark, spooky time and place which always, no matter how sunny or lovely come with a darkness in the corners) the one thing that I think makes it such an incredible story is what it says about people, the reasons they do things, the real motives and emotions both the dark and the light of the human condition. That probably sounds grand, but it’s true. There are lots of depths to a novel like this that lie behind what initially may seem a dark and gothic love story, which it also is yet is really so, so, so much more. In fact I would dare to suggest that this could be the perfect book, even if only for me. Actually I also can’t wait to see what Polly thought either, as she has been rather secretive about it until today.